“Activities of this project have been suspended in the last 12 months, and the Bank has not settled any further payments” – this is the official announcement of the World Bank regarding the status of ANAF reform project carried out by the Ministry of Finance. Romania is the EU member state with the lowest tax revenue collection rate as a share of GDP (25.6% in 2017, compared to a European average of 40%) and the trend was downward over the last 3 years. 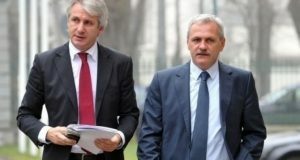 Finance Minister Eugen Teodorovici assured, ever since the takeover of his mandate, that he wants to unblock and continue, with small “adjustments”, the project of reforming the tax authority, blocked during the mandate of his predecessor, Ionut Misa. Despite these assurances, nothing has changed. “The World Bank has not yet received any formal decision from the Government on the way forward,” mentioned the institution in the response sent cursdeguvernare.ro. Important note: ANAF reform project costs USD 91 million, in a loan. Starting October 2018, the Romanian authorities are paying the first tranche of this loan: 7.1% of the principal amount. In March 2018, while he was at an event of his party in Dambovita county, Eugen Teodorovici was asked by reporters whether there is any danger of abandoning the project with the World Bank, given that its implementation is far back-loaded as compared to the program. In August, the Finance Minister was still working on the “final solution,” and the promised deadline for the reform vision of the tax authority was “by the end of September“. The concrete proposal is still missing today, October 25, 2018. “The modernization of the Romanian tax system is critical in order to increase the efficiency and effectiveness of revenue collection and improve the voluntary compliance rate. It is of utmost importance to strengthen ANAF’s capacity to fulfil its institutional role by providing it with the IT capabilities and the maintenance, licensing, hardware necessities, data security and personnel issues. Revenue Administration Modernization Project (RAMP) supported by the World Bank was designed to address these needs,” is the context provided by the WB. Since 2013 till today, the Finance Ministry spent only 20 of the 91 million provided by the World Bank in the tax authority reform project. The project had to be completed in 2019, but delays in the implementation made the World Bank extend it by two years.